Much like a forest fire allows the ecosystem to break down and start anew, the 2017-18 season may be what allows the Colorado State men’s basketball program to reset and begin building towards a more fruitful future. With only the 2018 Mountain West Championships remaining, CSU (11-20) has lost 13 of its last 15 games and is in position for its worst finish since 2008-09 when the team went 9-22. 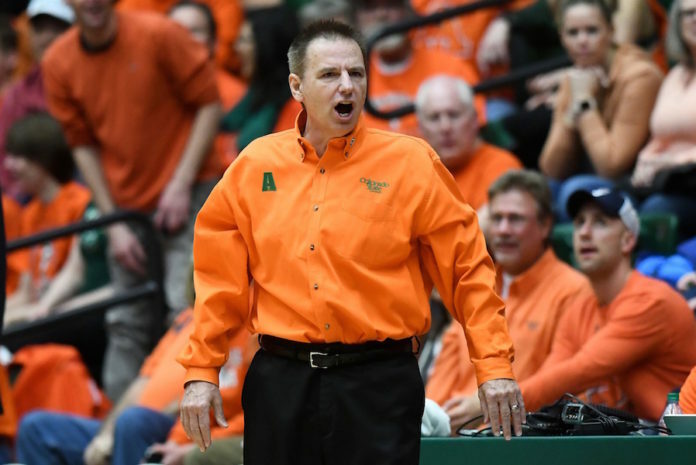 After experiencing this emotional rollercoaster of a season, much of the Rams faithful have turned the page to the future and finding a replacement for Larry Eustachy, who officially announced his resignation last week. “It has been an honor and a privilege to serve as Colorado State’s men’s basketball coach the past six seasons. The players, fans and administration, including President Tony Frank, have made my time in Fort Collins an incredible experience. I am extremely grateful for my time here – there are so many positive memories I will take with me,” Eustachy said through a release. Eustachy’s resignation is not much of a surprise given how the last month has unfolded. But now that the news is official, it allows everyone involved with the basketball program to move on. In six seasons Eustachy led the Rams to a record of 122-79 (.607) and one NCAA Tournament appearance. However, drama plagued the program throughout his tenure. 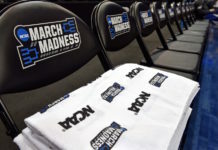 Starting with former athletic director Jack Graham’s 2014 investigation into his conduct, continuing with the constant reshuffling of rosters and assistants, and culminating with the climate assessment that began in late January and prompted his resignation. With Eustachy no longer in the mix, there are a variety of names that will be thrown into the discussion for head coach. A short list of examples would include interim head coach Jase Herl, Spurs assistant Becky Hammon, Oklahoma associate head coach Chris Crutchfield and a variety of former CSU assistants like Drake head coach Niko Medved and South Dakota head coach Craig Smith. Whomever is selected will be in for an interesting transition period. Being one year removed from a second-place finish in the conference, the job may not be considered a traditional rebuild. However with roster turnover looming, it certainly will not be a cakewalk. When Tim Miles left CSU for Nebraska prior to the 2012-13 season, he left Eustachy a program with six seniors and a variety of depth all over the floor. This was a huge factor in why Eustachy was able to lead the team to 26 wins and ultimately reach the second round of the 2013 NCAA Tournament in his first season. One former CSU hoopster has a particularly unique perspective, as he was around for both the build up of Miles’ program and the transition to Eustachy’s. Jesse Carr (2008-13) played a large role in helping build up Miles’ program, arriving on campus in the fall of 2008. Coming into a program under construction, Carr was the only scholarship player in his recruiting class. He immediately made an impact though, averaging nine points and three assists in 25 games. 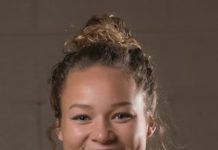 “My freshman year I think we had nine wins, and that was really tough. But I knew what I signed up for and that was the whole reason I wanted to be out there in the first place. I wanted to be part of that turnaround,” Carr said. Carr helped the program to do exactly that. After winning only nine games during his freshman campaign, CSU won a combined 39 games between the 2010-11 and 2011-12 seasons. In fact-CSU improved so much during that three-year period that it ultimately resulted in the program losing Miles to Nebraska. Although Carr was forced to sit out with a knee injury, he was also around for Eustachy’s first season as head coach and had a front row seat to the transition. According to the former Rams guard, the most difficult aspect of adjusting to the coaching change was learning to trust a staff that they had never known. Carr credits Eustachy for getting to know the team quickly. But he also explained that Graham, CSU’s athletic director from December 2011 to August 2014, deserves much praise for helping the team through the transition as well; and that Joe Parker, CSU’s current athletic director, should take a similar hands-on approach. When asked if the program should also consider keeping some of the current assistant coaches to help through the transition, Carr explained that the decision will ultimately be up to the new head coach, but having Medved, Miles’ former assistant around for Eustachy’s first year, was big for keeping continuity within the locker room. Moving forward, Carr hopes to see the program reach unparalleled levels of success but realizes that the rebuild will not take place overnight. The Nebraska native reminisced about playing in a gym with only 20 fans during his freshman season and how tough that was before finally having the program reach peak levels of success in the latter stages of his collegiate career.